New York: Collier Books/Macmillan Publishing Co., 1993. 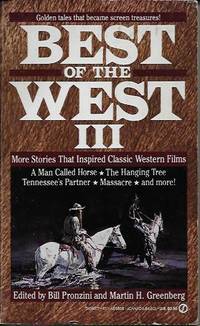 Collier Books mass market paperback edition, 1993. Near fine condition with square, uncreased spine, small chip to first inside page. 366 tight, clean pages. Cover photo from the 1993 movie directed by Martin Scorsese and starring Daniel Day-Lewis and Michelle Pfeiffer.. Mass Market Paperback. Near Fine. New York: Houghton Mifflin Company, 1970. Houghton Mifflin hard cover, 1970. Beige cloth binding soiled along edges and at front hinge. Ex-owner's stamp inside front cover. Dust jacket is scuffed and worn at hinges and edges, preserved in clear, easily removable, archival polyester cover. Original $5.95 price on flap. 278 crisp pages with small spot on top edges near spine. End papers age-toned. Book club blind stamp on back cover. Overpowering, emotional adventure story of four men on a canoe trip on a wild river in the American South. 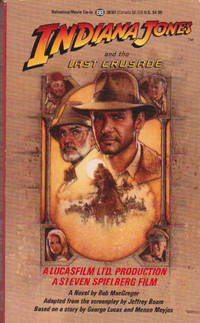 Basis for movie starring John Voight and Burt Reynolds. Our books are guaranteed to be as described and will be shipped promptly in protective packaging.. Book Club. Hard Cover. Good/Good. 8vo - over 7¾" - 9¾" tall. New York: Bantam, 1973. 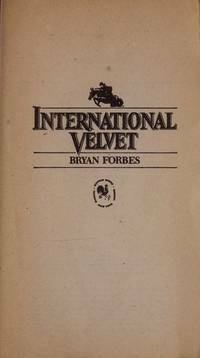 First Bantam paperback printing, 1973. 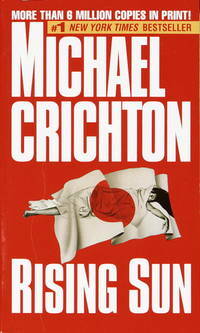 Bright copy with spine creasing, sticker remnant on front cover, small tear and chip at edge of front cover cutout. 280 tight pages. First Thus. Mass Market Paperback. Very Good. London: Hodder & Stoughton, 1997. First U.K. paperback printing. Good copy with wear to edges and creases to corners of cover. No spine creasing. 843 tight, clean pages.. First Thus. Mass Market Paperback. COLLECTIBLE GOOD. New York: Simon & Schuster, 1989. Crisp, clean first printing in dust jacket with light rubbing, protected in Mylar cover. 494 fresh-as-new pages, photographs, index. 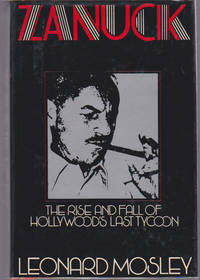 Autobiography of one of America's favorite movie stars of the twentieth century.. First Edition. Hard Cover. COLLECTIBLE LIKE NEW/Very Good. 8vo - over 7¾" - 9¾" tall. New York: Galahad Books, 1972. Very good copy with stain on pretitle page. Mylar-protected dust jacket. 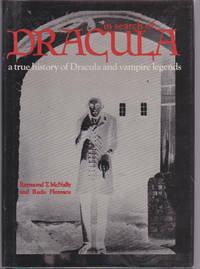 223 pages, filmography 1896-1972, profuse illustrations. . Hard Cover. Very Good/Near Fine. 7 1/4" x 10 1/4". New York: Bantam, 1972. 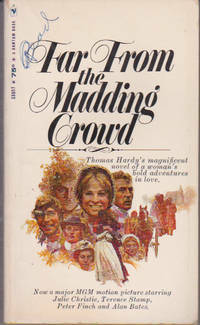 Bantam mass market paperback edition, later printing, 1975. Spine canted, creased. Cover creased, scuffed, dogeared. Small tear at top of spine. 403 lightly age-toned pages. Best-selling thriller about demonic possession. . Mass Market Paperback. Fair. New York: Pocket Books, 1975. First Pocket Books printing. Cover is scuffed, worn along spine, has sticker scar on back. 372 pages. Last 30 pages have moisture wrinkling at top. . First Thus. Mass Market Paperback. Good. New York: Popular Library, 1936. Clean, crisp copy. Date of printing not stated. 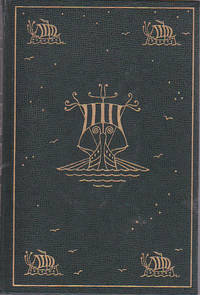 Cover is colorful and bright, marred only by ink initials. 190 pages. Blazing passion under the black flag.. Mass Market Paperback. Very Good. New York: Signet Books, New American Library, 1979. Cover lightly soiled, spine creased, canted. 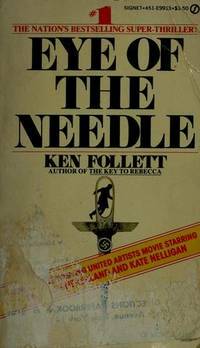 Thriller about a master spy in England who discovers a secret that will defeat the D-Day landing. 335 pages. . Mass Market Paperback. Good. New York: Ballantine Books, 1993. Very good copy with nibble marks at top corner and corner crease on back. 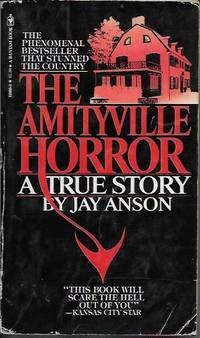 399 tight, bright pages. . Mass Market Paperback. Very Good. New York: Vintage Books, 1976. Special movie tie-in edition, 1976. 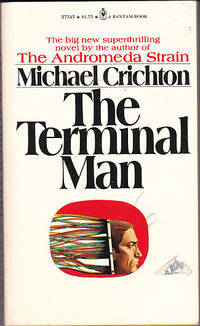 Vintage mass market paperback in very good contition with straight, uncreased spine, front cover crease along spine. 216 slightly age-toned pages. 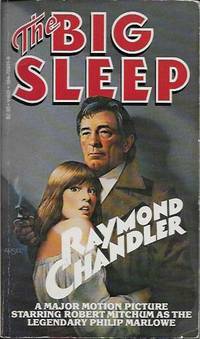 Cover art of Robert Mitchum playing Philip Marlowe in film with Sarah Miles. 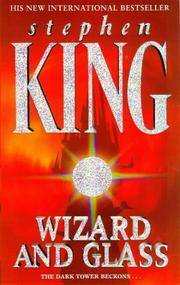 . . Mass Market Paperback. Very Good.